This week sees a rare combo of total solar eclipse, perigee moon, and the first day of spring. 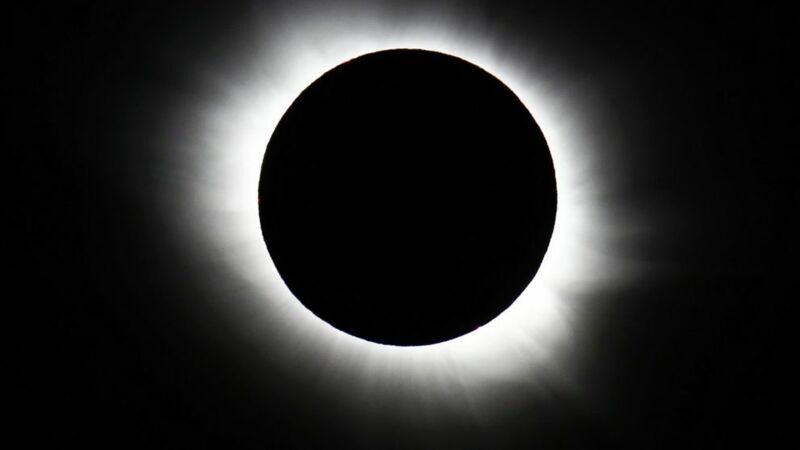 A total eclipse occurs when the moon comes between Earth and the sun, casting a lunar shadow onto the Earth’s surface along a narrow, 62-mile-wide (100-kilometer) path. Because this “black hole” effect lasts for only a couple of minutes, totality ends up being a truly rare event for any single spot on Earth—occurring about once every three centuries for each geographical location. Friday’s eclipse will race across remote regions of the North Atlantic and the Arctic Ocean, so only a relatively few lucky souls will be able to see it. But people in large parts of Europe and in northern areas of Africa and Asia will get to enjoy at least a partial solar disappearing act.